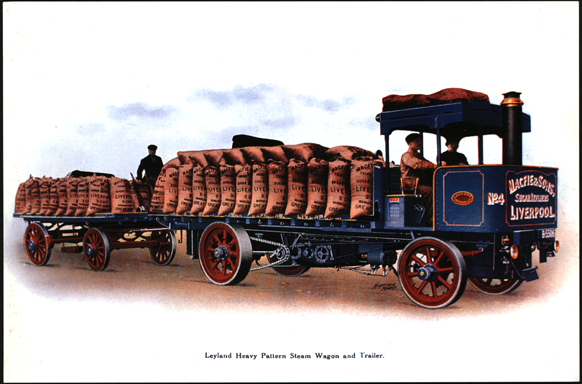 he Lealand Heavy Pattern Steam Wagon was one of a number of steam trucks or steam lorries used throughout Great Britain. 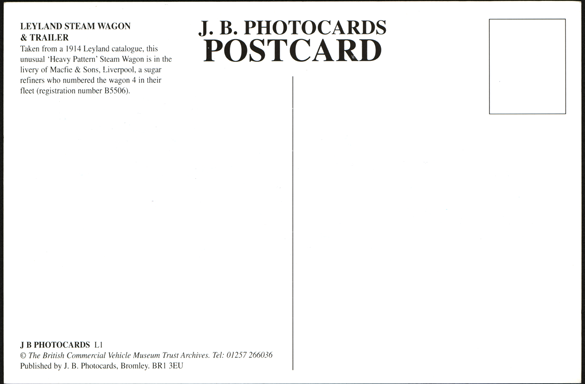 This modern postcard captures an illustration from a 1914 trade catalogue. Contact us if you have additional information about the Leyland Heavy Pattern STeam Wagon or if you have questions.